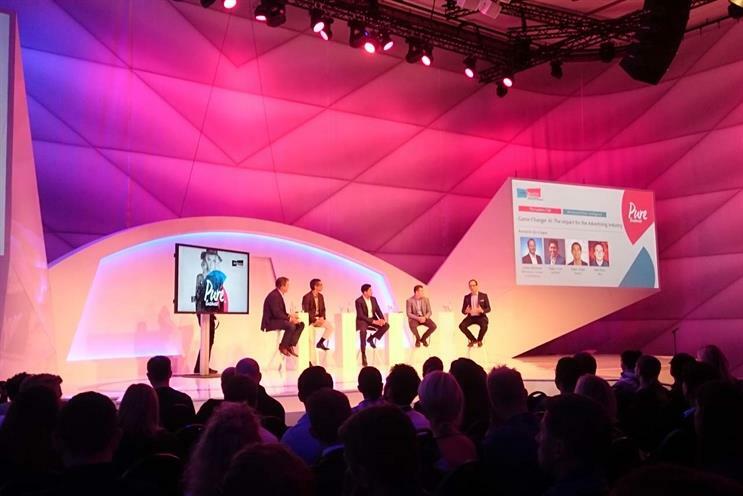 Artificial Intelligence is set to revolutionise digital advertising, but marketers should always make sure they put business objectives first, an industry panel told an audience at Dmexco. As with anything, the hierarchy when introducing AI should always be objectives, strategies, tactics, Jordan Bitterman, chief marketing officer at, IBM Watson, said. "If we’re just starting with tactics, we’re not doing things right," he said. "At the end of the day, the first thing we have to figure out is, what are we trying to solve?" It was also important not to see data as more than part of a means to an end, Babak Hodjat, co-founder and chief executive of AI company Sentient Technologies, added: It’s not necessarily about big data, but good and relevant data." But with the right applications, AI had massive potential for both advertisers and publishers, Beck Kloss, global lead: advertising and merchandising, eBay, argued. One application Kloss outlined for AI was in a "cannibalisation decision engine", which identifies for eBay what the floor price should be for any given ad placement – that is, the price at which the revenue brought in by that ad was outweighed by the revenue lost from user transactions. But more excitingly, he also outlined how the growing field of computer vision will create whole new digital media possibilities, within videos, especially user-generated content. "When you look at the advances that have happened in targeting, it’s because we’ve able to associate this very rich set of behavioural and demographic actions to this user entity," he said. "But video, especially UGC, remains a black box today. We’re scratching for scraps here." The ability of computer vision to "watch" videos and recognise both objects and actions within the video would change all that, he said. He pointed to computer vision startup Uru, which creates software that can recognise flat surfaces within videos, allowing relevant ads to be inserted seamlessly as they are being watched. Another exciting application, he said, was brands being able to run product listing ads alongside videos in which that brand was featured. "I think it will be the birth of a whole new format," he commented. Rajeev Goel, co-founder and chief executive of ad tech business PubMatic, also outlined the mutually beneficial uses of AI in programmatic buying. An AI system, he said, could identify which demand-side platforms – the tools that buy ads programmatically – would be most likely to make successful bids for an ad slot, and so only contact around ten to 15 DSPs, rather than 150. "This protects data, from a publisher perspective, removes latency, and saves a tremendous amount of cost for both us and for the DSPs we’re working with," he said. Speaking to Campaign, Hodjat said that one of the broad advantages of AI was that it meant digital marketing could move on from its reliance on past behavioural data to target consumers by responding to the user’s behaviour in real time. "Immediate reinforcement or feedback around what the user is interested in is not taken into account or given a very low weight," he said. "That’s because the models that are generated are quite static after they are generated. "I personally resent putting me in a box as a static model that doesn’t change. If I go to a website and want to shop for shoes five times – the sixth time, if I click on women’s because I want to buy for my significant other, I should not be inundated with men’s shoes." He added that he had bought a car last year, and was still receiving ads for that exact model. Hodjat said he did not believe there were any theoretical limitations to what AI could achieve. "Many different facets of human intelligence can be simulated and captured in algorithms," he said. "But putting them all together into a single entity is very difficult and we’re decades away from being able to do that."